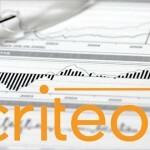 Criteo S.A. (NASDAQ: CRTO), the performance marketing technology company, today announced financial results for the third quarter ended September 30, 2016. Revenue increased 27% (or 25% at constant currency1) to $424 million. Revenue excluding Traffic Acquisition Costs, or Revenue ex-TAC2, grew 32% (or 30% at constant currency) to $177 million, or 41.7% of revenue. Net Income increased 154% to $15 million. Adjusted EBITDA2 grew 55% (or 51% at constant currency) to $54 million, representing 12.6% of revenue and 30.3% of Revenue ex-TAC. Adjusted Net Income per diluted share2 grew 173% to $0.48. We added over 1,000 net clients in Q3, a new record in Criteo’s history, approaching 13,000 clients. Revenue ex-TAC from existing clients, live in Q3 2015 and still live in Q3 2016, grew 15% at constant currency. Close to 57% of our revenue was generated on mobile ads. Users matched through our Universal Match technology generated 52% of Revenue ex-TAC, reflecting the growing adoption of our solution and the high value of matched users for advertisers. Close to 7,000 advertisers are now live on dynamic ads on Facebook and Instagram. On October 25, 2016, we launched Criteo Predictive Search, a groundbreaking product that brings our proven performance-based approach to the large and fast-growing Google Shopping market. Revenue grew 27%, or 25% at constant currency, to $424 million (Q3 2015: $333 million). Revenue ex-TAC grew 32%, or 30% at constant currency, to $177 million (Q3 2015: $134 million). This increase was primarily driven by technology innovation across all devices and platforms, the addition of a record quarterly number of clients across regions and the continued expansion of our publisher relationships. In the Americas, Revenue ex-TAC grew 31%, or 31% at constant currency, to $64 million (Q3 2015: $48 million) and represented 36% of total Revenue ex-TAC. In EMEA, Revenue ex-TAC grew 23%, or 27% at constant currency, to $71 million (Q3 2015: $57 million) and represented 40% of total Revenue ex-TAC. In Asia-Pacific, Revenue ex-TAC grew 51%, or 34% at constant currency, to $42 million (Q3 2015: $28 million) and represented 24% of total Revenue ex-TAC. Revenue ex-TAC margin as a percentage of revenue was 41.7% (Q3 2015: 40.2%), slightly above prior quarters and in line with our expectations. Net income increased 154% to $15 million (Q3 2015: $6 million). Net income available to shareholders of Criteo S.A. was $14 million, or $0.21 per share on a diluted basis (Q3 2015: $5 million, or $0.08 per share on a diluted basis). Adjusted Net income, defined as our net income adjusted to eliminate the impact of equity awards compensation expense, amortization of acquisition-related intangible assets, acquisition-related costs and deferred price consideration and the tax impact of these adjustments, increased 175% to $31 million, or $0.48 per share on a diluted basis (Q3 2015: $11 million, or $0.17 per share on a diluted basis). Adjusted Net income is not a measure calculated in accordance with accounting principles generally accepted in the United States of America (“U.S. GAAP”). Adjusted EBITDA grew 55%, or 51% at constant currency, to $54 million (Q3 2015: $34 million). This increase in Adjusted EBITDA is primarily the result of the strong Revenue ex-TAC performance in the quarter, as well as continued operating leverage, in particular in Sales and Operations. Adjusted EBITDA margin as a percentage of revenue improved 230 basis points to 12.6% (Q3 2015: 10.4%) and 450 basis points as a percentage of Revenue ex-TAC to 30.3% (Q3 2015: 25.8%). While we continue to invest in R&D and innovation, this margin improvement demonstrates the scalability and operating leverage of our model. Operating expenses increased 33% to $131 million (Q3 2015: $99 million). Operating expenses, excluding the impact of equity awards compensation expense, pension service costs, depreciation and amortization, acquisition-related costs and deferred price consideration, which we refer to as Non-GAAP Operating Expenses, increased 23% to $111 million (Q3 2015: $91 million). This increase is primarily related to the year-over-year growth in headcount in Research and Development (32%), Sales and Operations (25%) and General and Administrative (26%), as we continued to grow the organization. Non-GAAP Operating Expenses as a percentage of revenue decreased by 100 basis points to 26.2% (Q3 2015: 27.2%) and by 480 basis points as a percentage of Revenue ex-TAC to 62.9% (Q3 2015: 67.7%). Cash flow from operating activities increased 149% to $44 million (Q3 2015: $18 million). Free Cash Flow, defined as cash flow from operating activities less acquisition of intangible assets, property, plant and equipment and net of proceeds from disposal, was $24 million (Q3 2015: $(7) million), increasing by $30 million year-over-year. Total cash and cash equivalents were $407 million as of September 30, 2016 (December 31, 2015: $354 million). 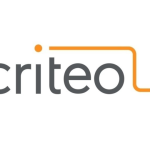 The following forward-looking statements reflect Criteo’s expectations as of November 2, 2016. We expect the HookLogic transaction to close in the coming weeks. The contribution of HookLogic is therefore not included in the following guidance for the fourth quarter and fiscal 2016. We expect Revenue ex-TAC to be between $207 million and $210 million excluding HookLogic. We expect Adjusted EBITDA to be between $72 million and $75 million excluding HookLogic. Fiscal Year 2016 Guidance: We expect Revenue ex-TAC growth to be between 33% and 34% at constant currency excluding HookLogic. We expect our Adjusted EBITDA margin as a percentage of revenue to increase between 120 basis points and 140 basis points excluding HookLogic. The above guidance for the fourth quarter 2016 assumes the following exchange rates for the main currencies having an impact on our business: a U.S. dollar-euro rate of 0.92, a U.S. dollar-Japanese yen of 105, a U.S. dollar-British pound rate of 0.78 and a U.S. dollar-Brazilian real rate of 3.2. The above guidance assumes no acquisitions are completed during the fourth quarter ending December 31, 2016 and the fiscal year ending December 31, 2016. Reconciliation of Revenue ex-TAC and Adjusted EBITDA guidance to the closest corresponding U.S. GAAP measure is not available without unreasonable efforts on a forward-looking basis due to the high variability, complexity and low visibility with respect to the charges excluded from these non-GAAP measures; in particular, the measures and effects of equity awards compensation expense specific to equity compensation awards that are directly impacted by unpredictable fluctuations in our share price. We expect the variability of the above charges to have a significant, and potentially unpredictable, impact on our future U.S. GAAP financial results.